In recent years, the St. David’s Society of Hong Kong has taken on a charitable role in donating funds to chosen charities in both Hong Kong and Wales. This has been funded primarily by the generosity of sponsors and attendees to the Annual St David’s Day Ball. During 2018, we will be supporting Hope of the City based in Hong Kong and Gofal based in Wales. 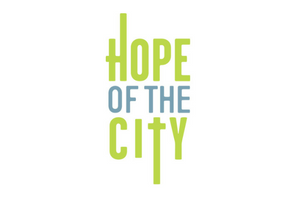 Hope of the City was founded in 2010 by a group of businessmen seeking to address the poverty gap in Hong Kong. They work to transform the lives of the underprivileged in Hong Kong, providing access to opportunities and believing in each person's potential to succeed. They fund projects, mobilize people and source quality resources to transform the city, one life at a time. Gofal is a leading Welsh mental health and wellbeing charity. They provide a wide range of services to people with mental health problems, supporting their independence, recovery, health and wellbeing. They also lobby to improve mental health policy, practice and legislation, as well as campaigning to increase public understanding of mental health and wellbeing.